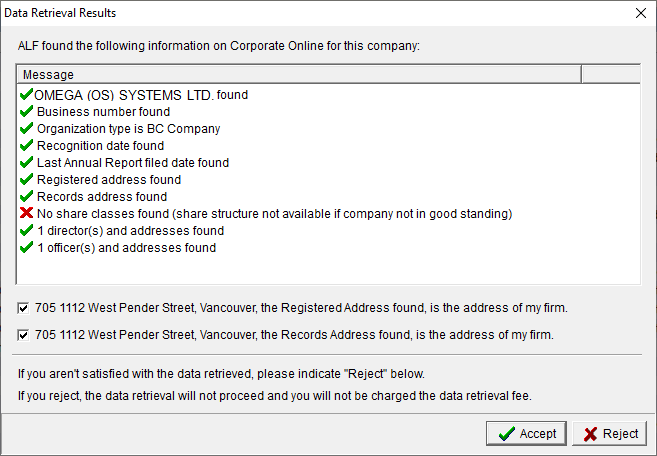 ALF’s new “Data Retrieval” function — for which a fee-for-use applies — automatically populates ALF’s database with information available from the British Columbia and Alberta Corporate Registry databases. 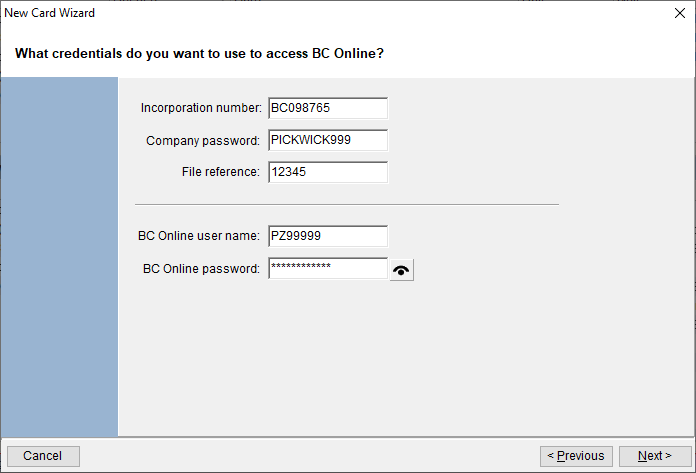 Among the information automatically retrieved are Registered and Records office addresses, share class details (for BC), and addresses for Directors (and Officers, if available). The result is fast data-entry (seconds for any entity) and assurance that the data in your ALF is consistent with that maintained in the Registry database. 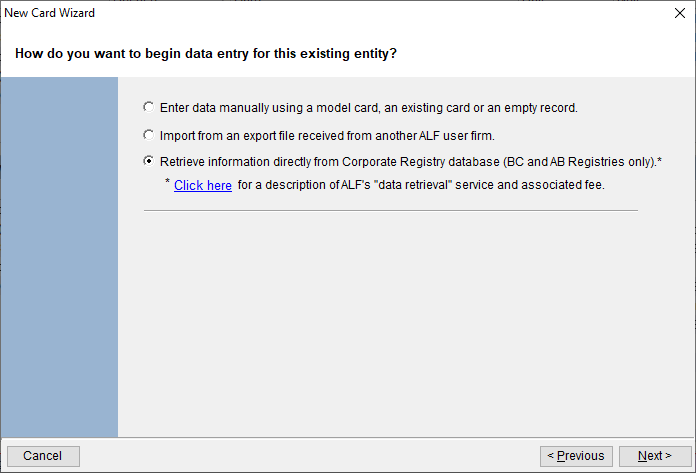 The fee for use of ALF’s Data Retrieval function is currently $4.50, plus GST. 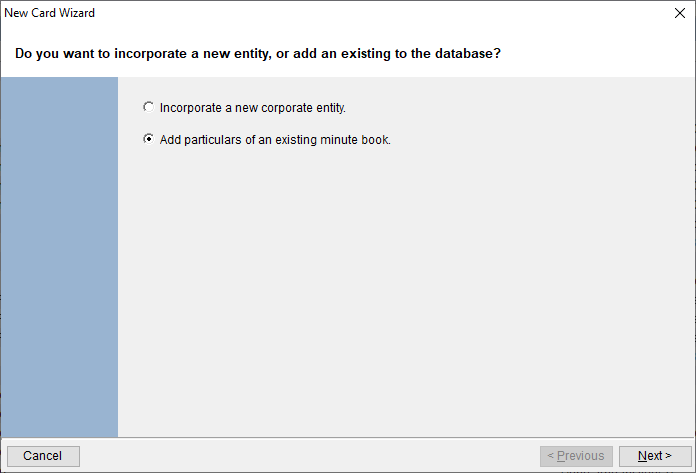 A summary of the data is provided before completing the retrieval.